Our comprehensive DVD collection covers Movies, TV Series, Children's Animations, World Movies, Sports, Documentaries, Cartoons, Anime, Music Documentaries, Comedy and much more. 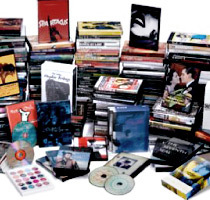 We sell many American and UK DVDs, that are often unavailable in Australia. We also stock a selection of the latest Blu-ray titles in each of our stores. We rigorously check every disc and provide a guarantee with every item we sell. This ensures you have a smooth viewing experience and can buy from Dixons with confidence.